Ever notice how all the new movies dealing with some form of Satanism tend to be extremely absurd? We're living in an era where anything that tries to be "The Exorcist" or "The Omen" goes completely overboard--last Thanksgiving saw the arrival of "End Of Days," featuring a story as ludicrous as an episode of "The X-Files," and before that we had "Stigmata" to deal with. While the latter film achieves some thrills, its nonsensical plot outline prevented the real scares from ever showing up. This, to a certain effect, is the core problem with Roman Polanski's "The Ninth Gate." Here is a story that almost no one will be able to comprehend--one that is confusing, odd, dimwitted and often unbelievable. But I find myself recommending the picture regardless. Though the premise is considerably shallow, and it shifts back and forth between intriguing and ridiculous, the lush imagery presents us with high energy and is so well shot that we want to keep watching. 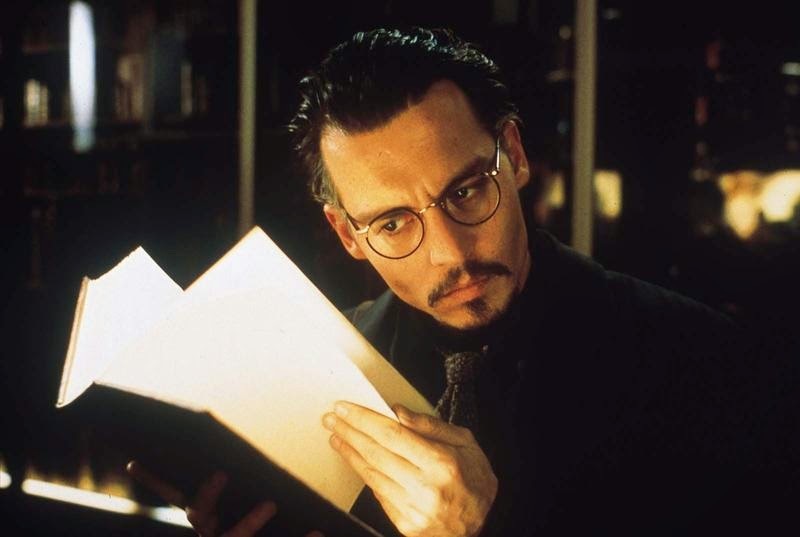 The movie stars Johnny Depp as a book dealer named Dean Corso, who specializes in hunting down rare works no matter what stands in his way (sometimes he is even up against the law). He has just been given an assignment to hunt down two missing copies of the book "The Ninth Gate"--the first of which belongs to Boris Balkan (Frank Langella). The sinister-looking client wants Corso to compare his version to the missing two, but knows that finding them will divulge something more fearsome than even the dealer could imagine. Since the plot's details are almost always cloaked behind confusion, little is known as to what exactly these books offer, although the majority of the imagery points us in the direction of Satanism. What is known, I guess, should be taken with a grain of salt; it is said that the remaining volumes of "The Nine Gates of the Kingdom of Shadows" have significant differences--some pictures are signed by Aristide Torchia, and then by Lucifer in another volume. 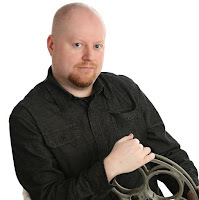 When Corso steps up to the challenge of finding these rare documents, he is confronted with a challenge: maneuvering the massive bloodshed that goes on during his quest. You see, the former owner of this book, Liana Telfer, is a particularly nasty woman who will stop at nothing to get the book back, and in the process unleashes a slew of diabolical plans on Corso's head. Unfortunately, the script gives into the pressures of intense sexual activity; long before Telfer is sending her henchmen out to track down Corso, both he and she make radical love. To the film's credit, though, it offers some trance-like characterizations to help the protagonist on his dangerous journey. There is one particular person who I especially found fascinating--a guardian-like female who is played by Polanski's real life wife, Emmanuelle Seigner. The way she is presented really intrigues us; her natural beauty is hidden behind dark makeup, gothic costumes, and sinister contacts that change her eyes into foreboding orbs. She isn't a very talented actress, but in a movie about the occult, acting is not always a required virtue. The images are so challenging and artful that we only wish there were some more decent plot twists to match them. For awhile Polanski seems to be headed in the right direction, too; after a slow start that seemingly lasts for the first hour, he plunges his characters so far into the plot that each of their decisions have profound, and often compelling, outcomes. But the ending is completely dismal--something that demands the viewer to disregard both logic and basic human intelligence. Without the visuals, "The Ninth Gate" would have surely buckled under the pressure of such a mixed and unrewarding plot. Polanski is a living legend of the cinema, at least in my opinion--his two masterpieces, "Rosemary's Baby" and "MacBeth," manage to strike every single cord of genuine psychological terror. Perhaps being away from the director's chair has turned him into another Brian DePalma; the lush imagery that has become his trademark remains in tact while the script bounces on a fine line between the good, the bad, and the ugly. That won't stop us from feasting on the eye candy, though.